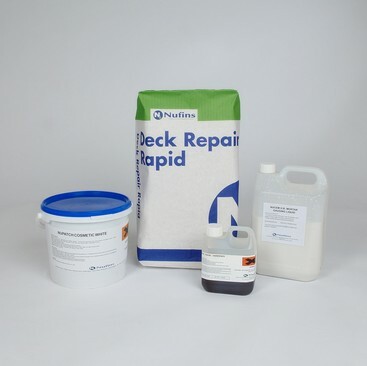 A range of simple to use polymer modified cement based compounds which develop high strength at an early age for the repair of both insitu and precast concrete. The Nupatch Cosmetic range have all been designed to comply with the requirements of EN1504 Part 3 Class R2. Grades Available: Grey, White & Special. Repair of precast concrete units. Repair of damaged insitu concrete. Repair to concrete floors, roads, kerbs & steps. Only requires addition of clean water. Good workability and finishing properties. Ideal for use in cold damp conditions. Grey and White versions easily blended to match most shades of concrete. Ideal for all types of small concrete repairs. To download the Nupatch Cosmetic Repair Compounds Technical Data Sheet click here. To download the Nupatch Cosmetic Reapir Compounds Safety Data Sheet Click here.